This is the best deal for your money. You get 100 trees for one low price! 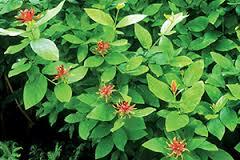 Spice Bush Live Stakes, a fast-growing aromatic shrub, is also called Northern spice bush and wild allspice. Indigenous to the Eastern United States, this plant can grow up to 12 feet in height and 15 feet in width. Its vibrant yellow-green flowers bloom in spring with fragrant, glossy light green leaves that transition to rich yellow-gold in autumn. Shiny oval-shaped red fruits provide food for birds, caterpillars, and other wildlife. The leaves and twigs make a delicious tea, and the dried and pulverized fruit makes a flavorful spice for sweet or savory purposes. Spice Bush Live Stakes thrives in moist, shady spots and is ideal for butterfly gardens. Spice Bush Live Stakes is a small and manageable bush that stays relatively short in stature. Spice Bush Live Stakes is known for the fragrant smell they release. They also have a naturally round shape. The leaves remain a vibrant green hue until the fall when they turn a beautiful bright yellow. It will produce flower clusters in the spring that are yellow. It is also quite adaptable to many different soil types. Its leaves and twigs can be crushed to make a fragrant tea as well. Spice Bush Live Stakes make a charming addition to any landscape. Spice Bush Live Stakes offer bright blooms. This shrub contains green leaves that are oval shaped and unlike other plants leaves that have small spikes or teeth on the edges, the Spice Bush leaves are smooth. These leaves can grow up to five inches long and will turn yellow in the autumn months. If the leaves are brushed up against, bruised and crushed it will produce a slight fragrant smell. 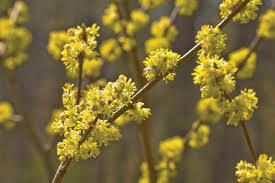 The spicebush has a small light yellow bloom which can be seen in April and May. The spicebush has many trunks coming from one central root. The spicebush produces a little red berry, referred to as drupes which many birds and wildlife creatures enjoy to eat. Spice Bush live stakes add fragrance to a garden. Planting Spice Bush Live stakes is easy to do. 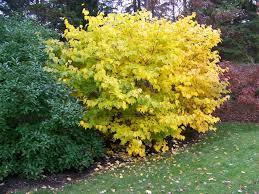 Spicebushes do well with moist, well-drained soil. As summer bloomers, they are sure to brighten any garden or lawn. This bush is almost always found growing under yellow poplar trees or trees. Rabbits, squirrels and other small wildlife creatures take refuge in this little bush.